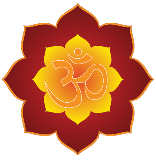 Yoga is the art of reposing in different postures while keeping focus on the breath. As a result, every yoga posture has a particular effect on the respiratory system; and therefore affecting the heart as well. The following postures begin with mild ones, gradually increasing to more demanding ones that require greater stamina and strength. 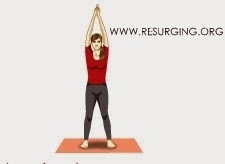 The body gets relaxed and rejuvenated with the concluding postures. The Mountain pose helps strengthen the heart and also adds flexibility to the body. The Tree pose calms and brings equilibrium to the mind. Reposing in this yoga pose is useful as a calm mind leads to a steady and healthy heart functioning. This yoga posture requires more focus and strength to balance. 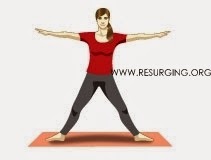 This is a heart opening standing yoga posture designed to promote cardiovascular exercise. The chest gets expanded while breathing deep and in rhythm increases stamina. The Warrior pose improves balance in the body and increases stamina. It also releases stress while calming the mind and helps keep the heart rate in check. In this yoga posture, you can feel the heart and respiration rate increase. It is a heating and strengthening posture. This yoga posture is a welcome relief after the Chair pose as it allows the heart rate to settle and become soft and rhythmic again. This yoga posture is used as a resting position as it calms the system and energises the body. This yoga posture increases the stretch to the chest and requires more strength and stamina than the Sphinx pose. Stimulating and a deep stretch for the whole body, the Bow pose opens and strengthens the heart region. Less demanding than Bow pose, the Bridge pose facilitates deep breathing, opens and improves blood flow to the chest region. The Half shoulder stand pacifies, activates the parasympathetic nervous system and creates space in the chest. It is a restful and rejuvenating posture. The Sitting half spinal twist works on the whole spine and opens the chest sides alternately. Serving as a resting posture, the seated forward bend brings the head lower than the heart facilitating the reduction of the heart rate and respiration while allowing the system to rest. The Sphinx pose allows the chest to open again. It is a mild backbend that gently opens the chest, stretches the lungs and shoulders. 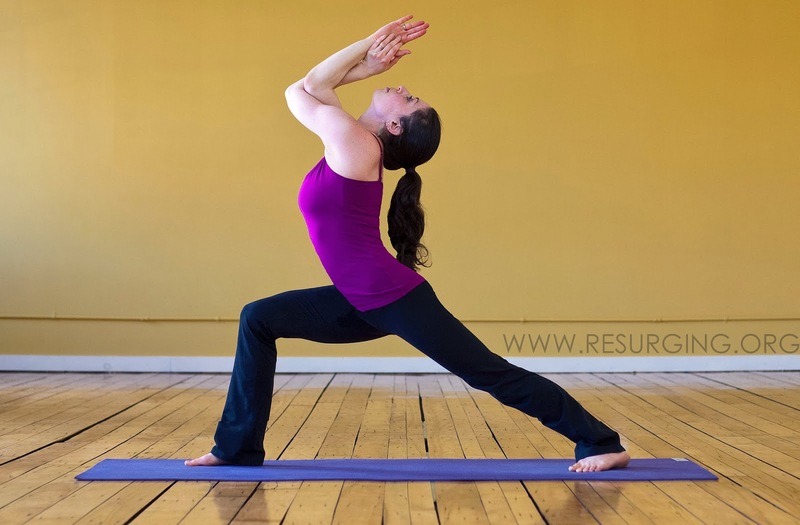 Deep rest is the counter pose for all yoga postures as it allows the body and breath to make the subtle adjustments necessary for the overall health of the system.